The face of some of children’s television’s biggest shows will switch on the Christmas lights at The Rock this year, the shopping and leisure destination has announced. 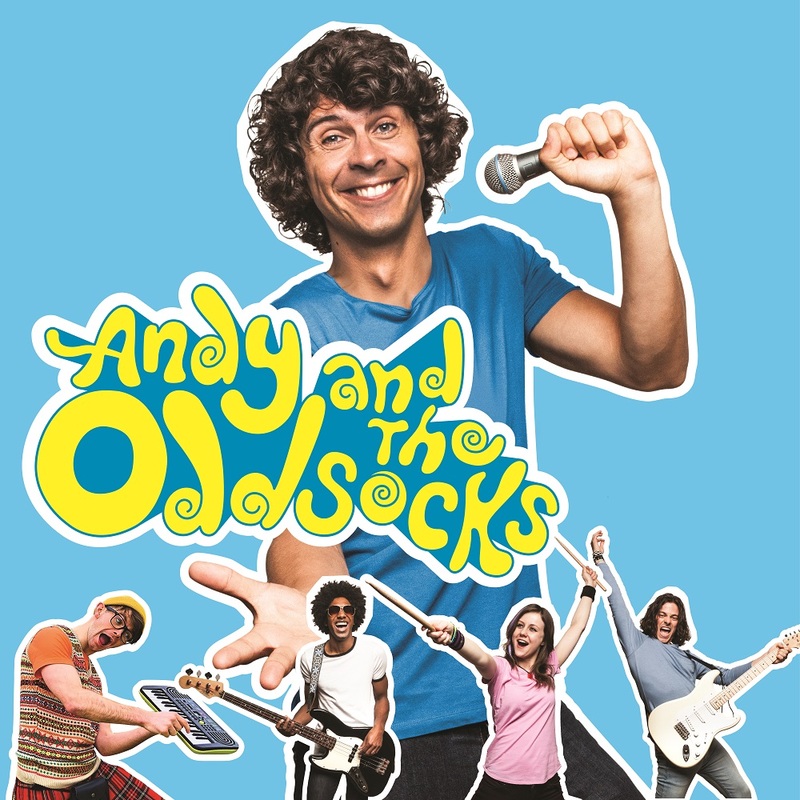 Andy Day from Cbeebies and his band The Odd Socks will take to the stage for the big switch on on Thursday 8th November 2018. 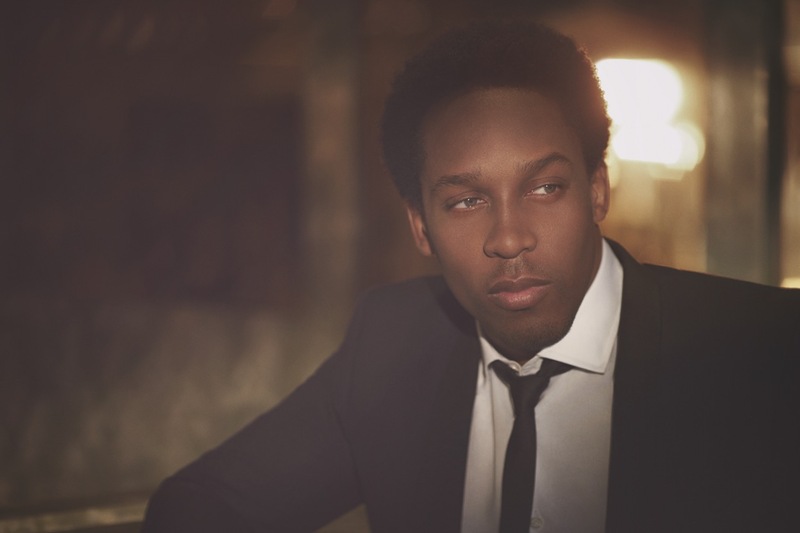 The star line-up will also feature R&B singer Lemar and there will be a family trip to Disneyland Paris up for grabs. The centre’s Christmas Lights Switch on, hosted by Tower FM, will run from 5:30pm until 7:30pm and will also feature a number of local acts, including groups from the Carol Godby Theatre Workshop and of course an appearance from Santa himself. Andy Day is one of the most popular children’s personalities in the UK and widely known for his antics tackling dinosaurs, investigating baby animals and being on safari. 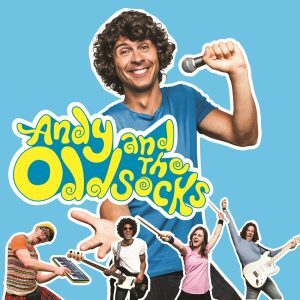 At Glastonbury 2017, Andy launched his brand new rock ‘n’ roll band for kids, ‘Andy and the Odd Socks’. Aimed at primary school children of all ages, Andy and the Odd Socks are all hugely individual and entertaining characters whose message to children is simple: be proud of who you are and be accepting of one another. Meanwhile, Lemar is one of the most successful male British solo artists of the last decade, having had seven UK Top 10 singles and selling over two million albums worldwide. His awards include three Mobo awards and two Brit awards for Best British Urban Act. Lemar featured on ITV’s Dancing on Ice in 2018 and is currently hosting a weekend Breakfast soul show on Magic FM. He is currently finishing his eighth studio album and will be releasing new music this autumn. Throughout the evening a competition called #ChristmasUnwrapped will take place – where the prize is a family trip to Disneyland Paris. On the day visitors can enter by collecting one of 1,000 silver gifts from the Tower FM street team. Entrants must keep hold of these until the presenters say they can be opened. One lucky gift holder will win the prize. The silver gifts will be given out on a first come first served basis. Once the 1,000 have gone, they’re gone. 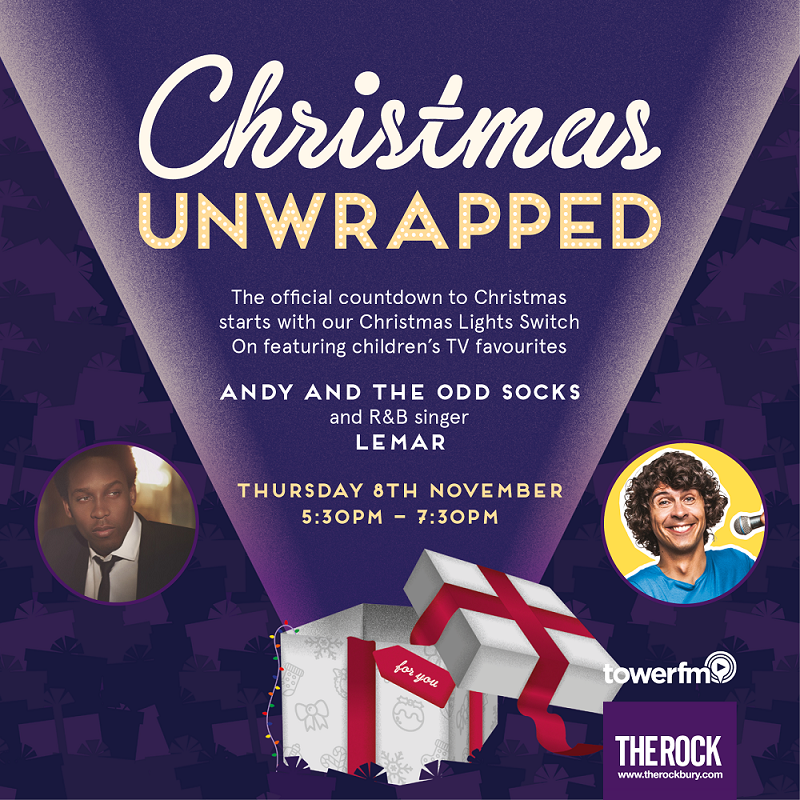 The switch on event is free to attend and in this week (October 22nd – October 27th) a competition to find Andy Day’s odd socks around the centre will be held, with the winners given the chance to attend a special meet and greet with the star before he takes to the stage on the night. The event marks the beginning of the Christmas season for The Rock. The centre’s Santa’s Grotto will officially open on Saturday 24th November following the Santa’s Arrival parade in the morning and The Rock Express will return in December to transport festive shoppers around the town until the end of the month. The Rock’s centre director, Arnold Wilcox-Wood, said: “Our Christmas Lights Switch On is one of the biggest events in our calendar and once again we’re aiming to pull out all the stops to make it a wonderful night to remember. Click here for full event details, timings and terms and conditions.